The sun is shinning and the month of May is for Melanin and Memorial Day. This post will celebrate what happens when your Melanin is literally popping and The Macadamia Nut. This super food has so much Vitamin A that will increase protection of your skin and help repair itself. Vitamin A is a fat soluble molecule necessary for skin repair and additionally provides protection from the harsh external environments. Additionally, Vitamin A supplements are good for those with Inflammatory Bowel Disease and Psoriasis because it can decrease the inflammation in your skin and your GI tract. Learn more by googling Macademia Nuts….like wow. The more you know! However, skin can become unchecked and begin forming a tumor. This tumor is called Melanoma, which is an aggressive skin cancer from pigment producing melanin cells in our skin. It can develop anywhere on the body that has pigment such as your nails, skin, mouth etc. Your risk of melanoma increases most after the age of 30. It is most commonly seen in Caucasian skin tones but African Americans are also susceptible to it. 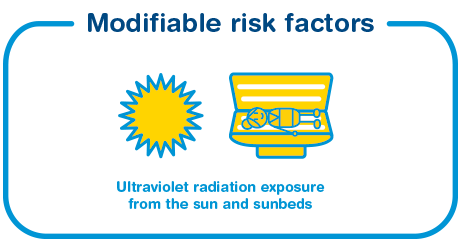 The most important risk factor for Melanoma is the sun and its UV rays as well as tanning beds. The best way to recognize a potential Melanoma is a skin exam by Dermatologist. But if you see any of the alarm features on your skin with the chart below, please schedule an appointment with a Dermatologist ASAP! So let’s make sure we wear our sunscreen when we are out grilling, day brunchin and day grilling people! How Effective Is Your Sunscreen?